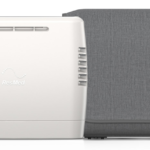 Since being acquired by Chart Industries a couple years ago, SeQual has been making some much-welcomed improvements to its flagship portable oxygen concentrator, the Eclipse. Most of the work has been inside the Eclipse 3, with noticeable improvement in performance and fewer technical service issues. Now, even the outside of the Eclipse 3 has gotten a new look, with a carbon fiber case that is more durable than the standard case. 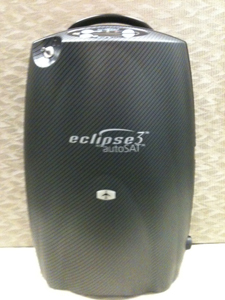 I’ve seen this special Eclipse 3 called the Eclipse 3 Plus to differentiate it from a standard Eclipse 3. I’ve also heard that it is a wee bit quieter, too. And in just a few weeks, the NEW Eclipse 5 will be available! This model will have the standard case, include all the internal improvements we’ve been seeing over the past year, and probably a few more. The most significant improvement with the introduction of the Eclipse 5 is the ability to use it on 3 LPM continuous flow in the card on DC power. For those with higher oxygen needs, this is great news indeed. Wait! What about the Eclipse 4? Did I miss something? Astute readers will notice that SeQual is jumping from Eclipse 3 to Eclipse 5. No, they did not forget the number 4. But it seems that in international markets, the number 4 is as unlucky as number 13 here in the States. So voila, they just took a hop, skip, and jump right over it. 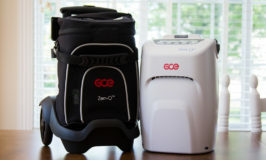 The SeQual Eclipse was one of the earliest portable oxygen concentrators on the market. And it remains the most power portable oxygen concentrator available. With continuous flow settings up to 3 LPM, standard pulse flow settings of 1 – 6, and bonus pulse settings that are roughly equivalent to 7, 8 and 9, the Eclipse is a great portable oxygen concentrator that is hard to beat in power and performance. Yes, SeQual will be introducing a new POC called the eQuinox. It is expected to be 33% smaller than the Eclipse and weigh about 12 pounds. However, there is no word yet as to when it will be released. It has already received FDA and FAA approval, so it should be available soon. The big industry trade show is in October. Hopefully, I’ll have more news so share following the show. As an update: I have heard that the Equinox will not be available until next spring. Also, you can expect it to be about 30% more expensive than the SeQual Eclipse. My latest post on the SeQual Eclipse 5 explains the new features of the Eclipse 5. The primary difference is the ability to power the unit on all continuous flow settings and charge the battery while plugged into DC power in the car.